Hey guys We are Back with Fortune Oil loot where you Get Fortune Oil 1L Products worth Of Rs 150 You get absolutely Free .You have to Pay shipping Charge Of Rs 60 Only to Receive This Product at Your Home Address. 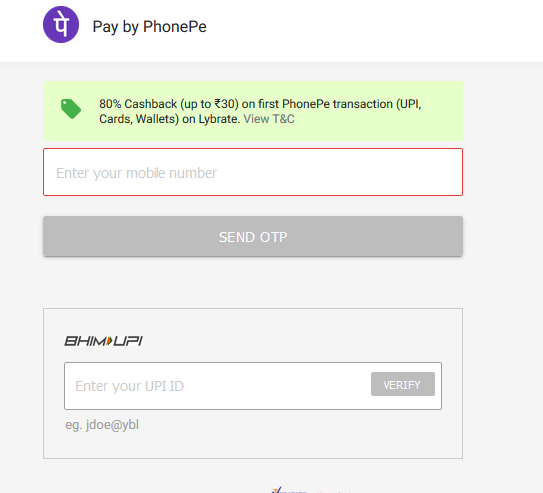 In This Rs 60 you get Rs 40 cash back in Lybrate cash which means effective price is Rs 20 only which You Get Rs 20 cash back when you Pay Via PhonePay. So I hope You are Interested to get This Product at Free of cost . .please Follow Below Steps Carefully to order this Product successfully. Now You see all detail of this Offer with Sign up form . Start filling details and Put age above 30 . Fill Your Complete Address and Hit Get Your Free Pack Now Button. You will Receive OTP on your Number verify it and Proceed. Now You see Final Cart page with Rs 60 shipping charge Only.Pay Rs 60 Via Phonepe wallet Only to get it at Rs 0 after cash back. Bingo ! You have Order Your 1L Oil Product successfully. You Can Track Your Fortune Oil Product From Same site . So Guys I hope You like this Oil offer. Stay with Us we have more Bumper Loot offer on The way only for You.If you like this offer do’t forget to share this post all your whatsapp groups. This offer is For Selected Cities only.